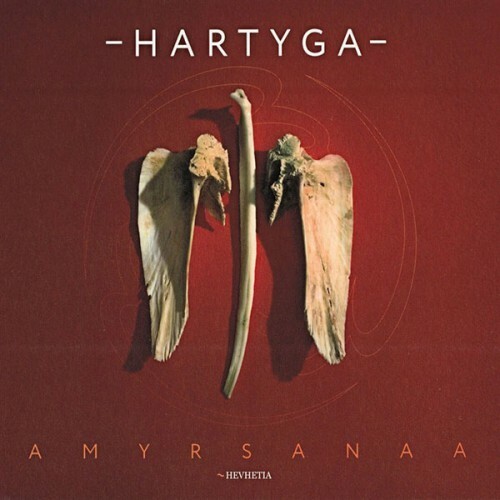 The ethno-futuristic album of Tuvan group Hartyga “Amyrsanaa” was released in 2018 by the Slovak label Hevhetia specializing mainly in classical music and jazz. The aesthetics of the album clearly show through to the rock of the 70s, the quality of the material and the recording is excellent. A great album for everyone who loves a combination of different styles, such as roots ethno, rock, crossover, throat singing and others. Like the first studio album “Agitator”, this work was recorded by sound engineer Shamil Gainetdinov in Yekaterinburg studio Octopus, and Ruslan Tagirov did the mastering. The disc design, made by Alexander Korotich, with the fossilized wings of an unknown creature, in the best way emphasizes the philosophical meaning of the need for each to look back and remember their roots.